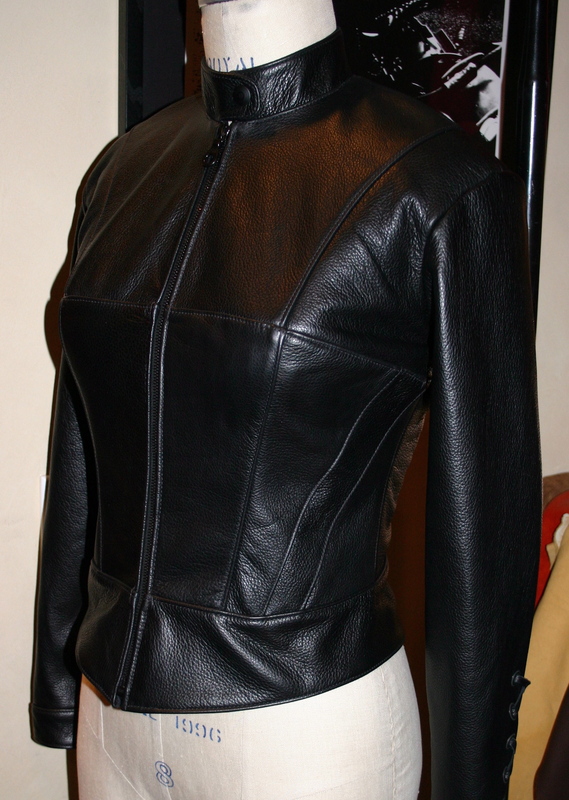 This Cafe-Racer styled motorcycle jacket for women is sleek and form fitting. 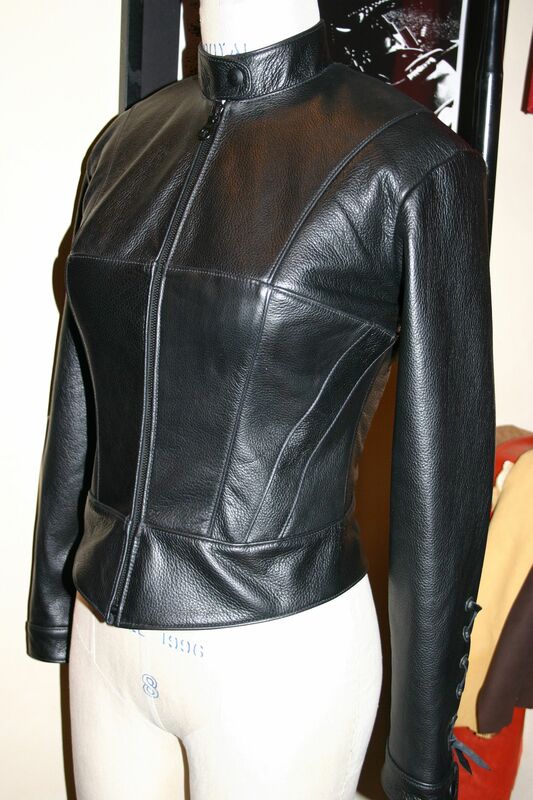 In a thick but soft cowhide leather and fully lined with interior pockets. 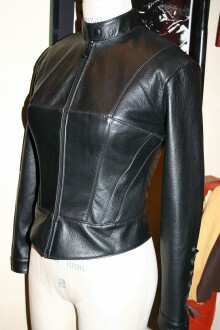 Zippered front with no outer pockets and completely fitted bust, waist and neckline. 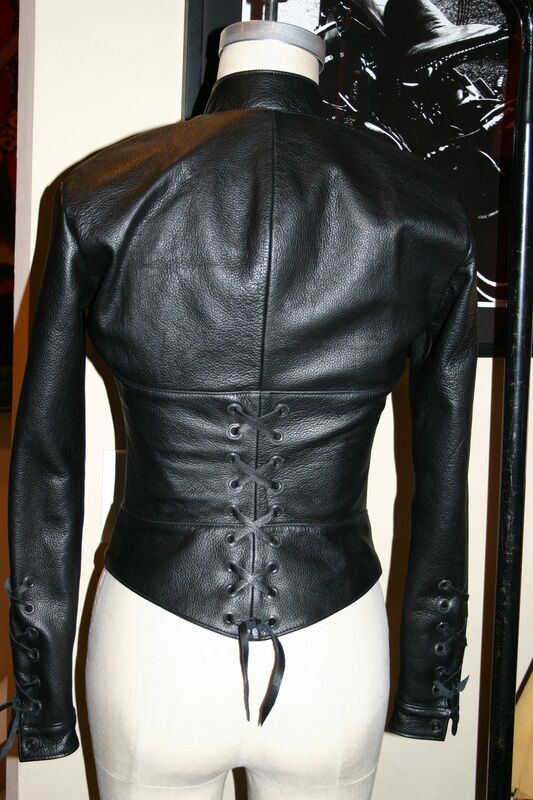 The corset style lacing in the back panel can be left alone for the "look" or actually pulled even tighter if so desired. Metal snap closure or buckle at the collar. 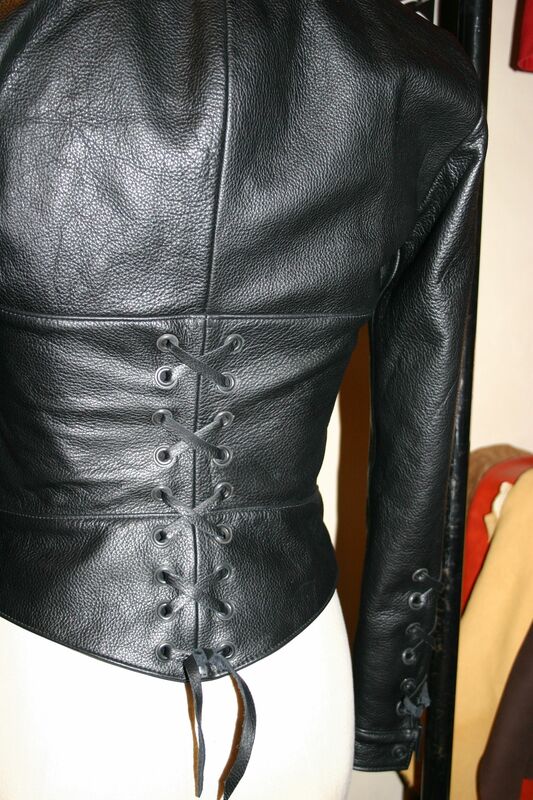 Laced bottom to the sleeve which can also pull tight or loosen up. By custom order only. Variety of leather or suedes in a wide selection of colors available, and we can make you the riding chaps or leather pants to go with them!